Tots Bots have brought out another new collection of prints, and we’re lucky enough to be helping to unveil them! The Easyfit Star nappies are a one size fits most nappy, that can be used from birth to potty training. 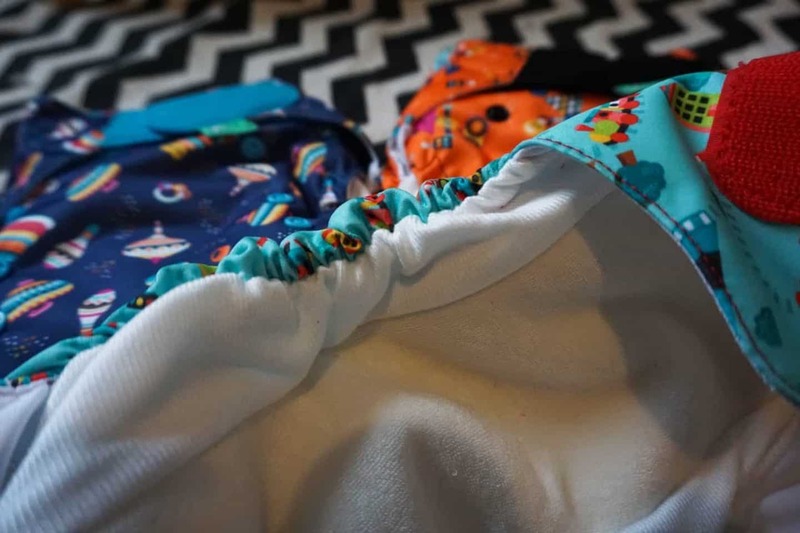 To the non-initiated the idea of a nappy coming out in a new print might seem a bit odd, but when you’re changing nappies anything to make you smile is a good thing, and TotsBots are the best at coming up with fun designs and pretty patterns! Today they’re launching the ‘Playtime Print’ collection and they are awesome; they’ll be available in Easyfit Star, teenyfit and Peenut options. Arlo’s nappy collection is 95% Totsbots, and about half of these are older version easyfits and half the star. We use the star out and about as they last almost as long as a disposable and then the older style at home. Overnight we use Bamboozles with a wrap. I will admit that we don’t use cloth full-time anymore, on the two days that Arlo is at the childminder we keep him in disposables and it gives me a chance to catch up on the washing and stuffing the clean nappies! But I still feel like I’m helping to stop all those disposables from going into landfill and doing my bit to save the planet! 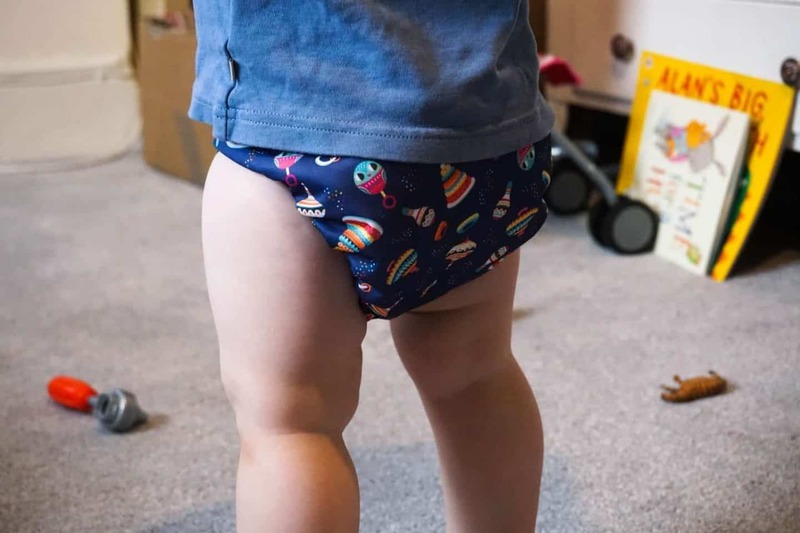 The easyfit star Easyfit Star won first place for Best Reusable Nappy in the Best Baby and Toddler Gear, Loved by Parents and Mother & Baby Awards in 2016, and it’s a well deserved accolade as it really is the most absorbent but least bulky nappy I’ve used! We’ve been sent the three Playtime Prints to have some fun with, and now Arlo is older (two in March, eek!) he likes to get involved in nappy picking. When he wants a bottom-change he’ll either lay flat on the floor and shout ‘POOPOO’ or go and get a new nappy and wave it at me! His favourite from the new designs is Choo Choo, of course anything train related was going to be a huge hit! It’s got little wooden trains on a turquoise background with red velcro. My favourite is the Rattle and Roll print with traditional rattles (which are owls, as Athena spotted!) and wooden stacker toys on it, and there is also the Robobots print, a lovely bright orange with black velcro with little robots, the colours would make this a great Halloween nappy too! There are another two prints too, the Kaleidoscope print and the Parumpapum, and I can’t wait to see what they look like! 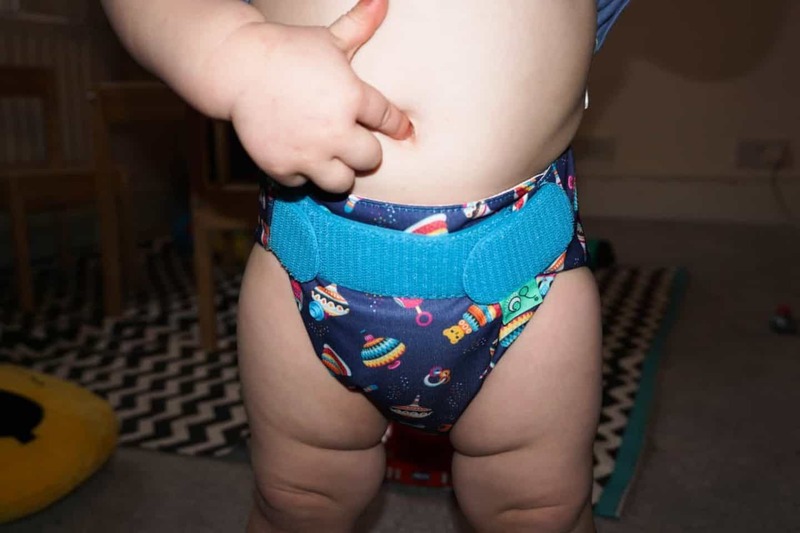 Here are a couple of photos showing the ‘no escape’ buffer zone (one of the amazing things about cloth nappies is that poo cannot escape like it does with a disposable, neither up the back or out of the leg holes! You can also hopefully see how slim the absorbent bamboo core is. 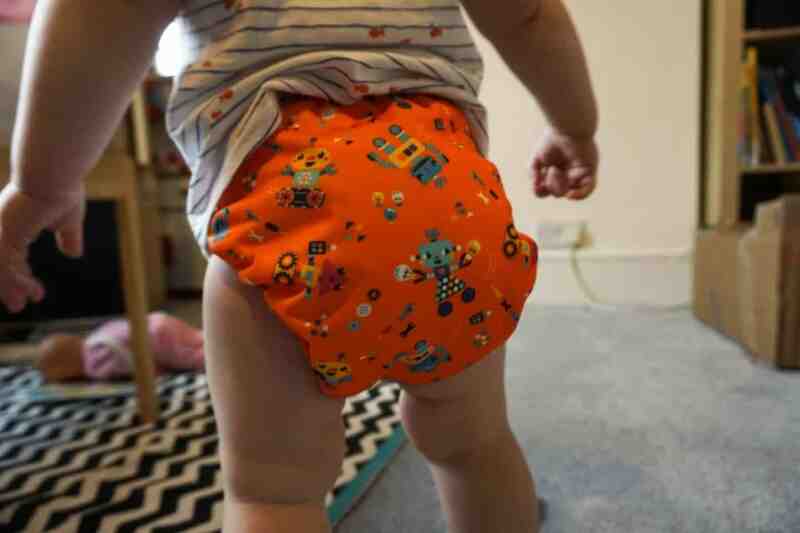 You can see below that they really aren’t that much bulkier than a disposable nappy! 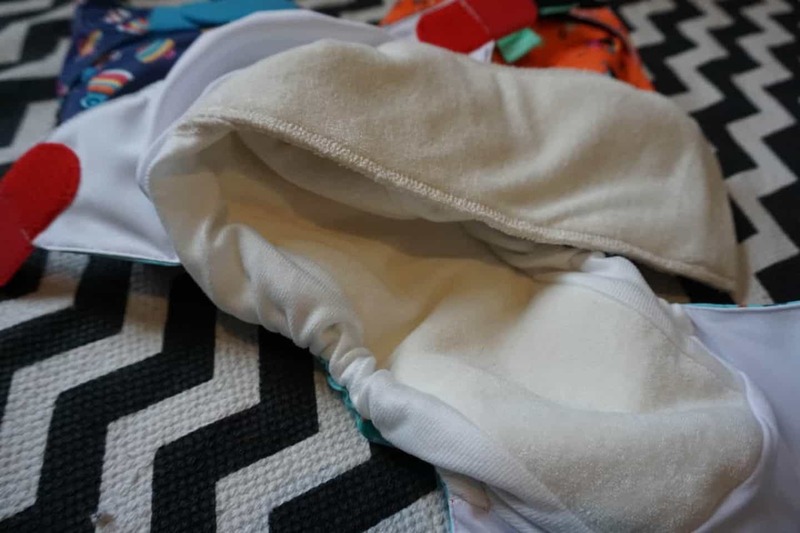 If you want to find out more about using cloth nappies then read my Cloth Nappy FAQ and Cloth Nappies from Birth posts, and feel free to ask any questions in the comments for me to answer, I’m always happy to help! I love the robot print! We really don’t need any more nappies but…. Those prints are so adorable and playful! I never ever tried reusable nappies but it actually looks super good! These are adorable (I love the orange robots). My little boy is three months, and so far we have used disposables, but I’m really interested in moving to cloth nappies. And you say the poop doesn’t escape from the sides? Blessed relief! In our house the rule of thumb is that if it didn’t leak, it doesn’t count 🙂 I’m definitely going to look into these.